(Newser) – A teenage blogger from Singapore whose online posts blasting his government landed him in jail was granted asylum to remain in the United States by an immigration judge in Chicago Friday. 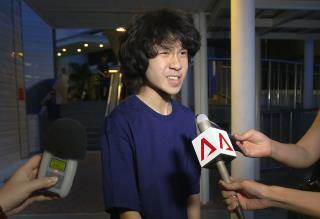 Amos Yee has been detained by federal immigration authorities since December, when he was taken into custody at Chicago's O'Hare International Airport. Attorneys say the 18-year-old could be released from a Wisconsin detention center as early as Monday, the AP reports. "Yee has met his burden of showing that he suffered past persecution on account of his political opinion and has a well-founded fear of future persecution in Singapore," Judge Samuel Cole wrote in his 13-page decision. Singapore is nice city. Very clean and low crime. The gov likes to silence people & cane then though- I have no beef with this guy. He's Asian. He will further his education & be a productive citizen so long as he assimilates, obeys our laws and speaks English. If he's a Muslim, send him back. Ideally all of our immigrants would be religion-free. We don't need any more drug or religion addicts.